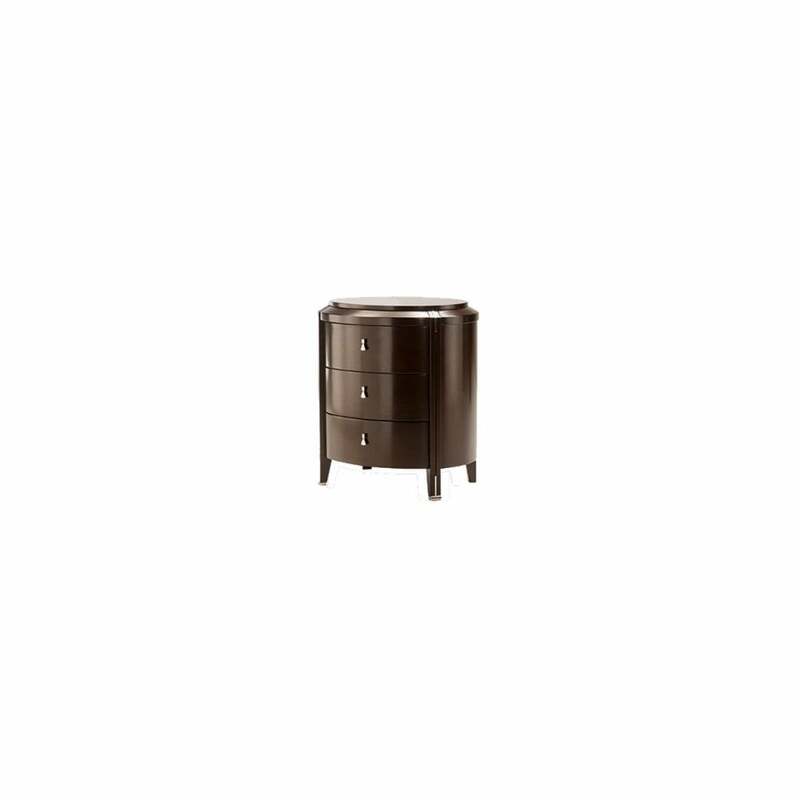 This classic, sophisticated night stand is yet another stunning design in the Vendome range, the cylindrical shaping making this piece beautifully unique and desirable. The rich and glossy cherry veneer very much enhances this piece combined with the beautiful, delicate touches of decorative glossy chrome applique on the legs and fluting of the pilasters, a lovely design feature which adds contrast and light, the dainty glossy chrome fan shaped handles further adding to this. Complete the look by combining with the Vendome bed for a stunningly rich and luxurious relaxation space.